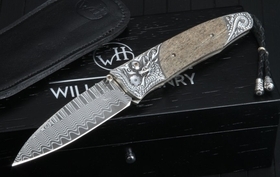 If taste and elegance matter as much to the knife enthusiast and collector as ruggedness and performance, the line of William Henry Knives available at KnifeArt is sure to check off all the appropriate boxes. 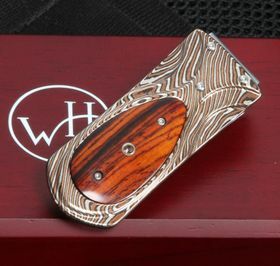 In addition to the maker's exquisite collection of high-end pens, money clips and accessories, William Henry makes knives that take a backseat to no brand when it comes to class, style and exacting quality standards. 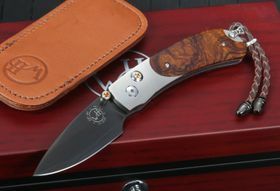 For more than 20 years, the company has been producing American-made knives and accessories that are as much about personal style as they are about practicality. 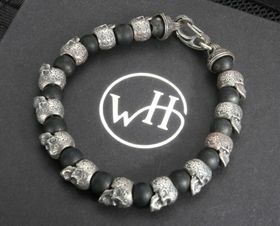 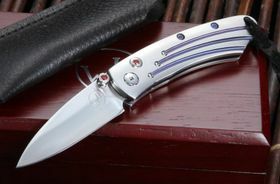 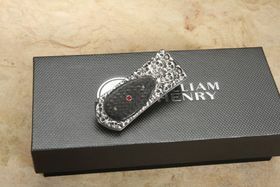 The result is that each William Henry knife is a piece of "functional jewelry" that catches people's eyes at all times. 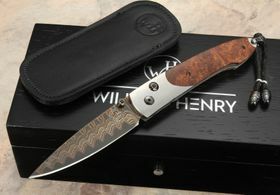 While they may be sought after for their beauty, William Henry knives never sacrifice function. 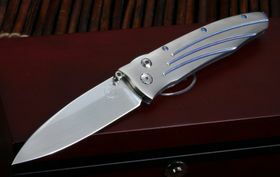 These sturdy knives are made to be used with the latest materials and designs. 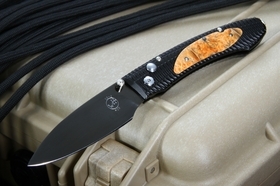 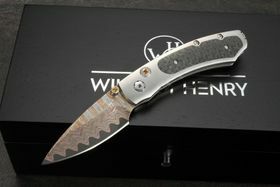 EDC knives such as the William Henry E10 are made to military specifications using M390 stainless steel for the blade and aircraft grade aluminum for the handle. 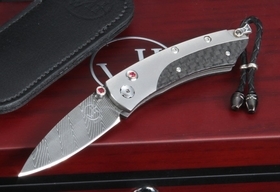 At just 1.6 ounces, it will be comfortable to carry all day. 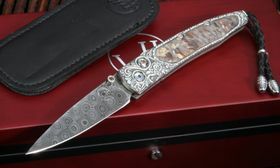 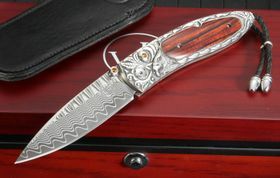 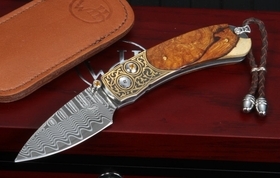 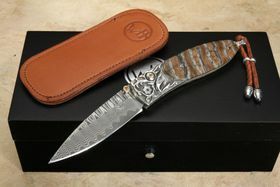 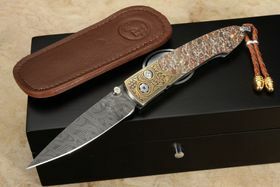 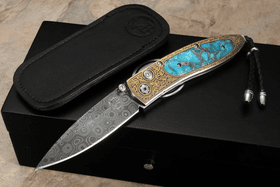 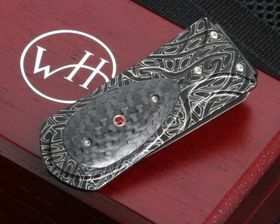 Their artistic upscale knives and Damascus knives are the ultimate "gentleman's knives". 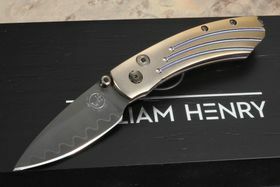 The William Henry B10 Lancet line of knives are plated with sterling silver, citrine gemstones and other precious metals that attract attention even before you flip open the blade. 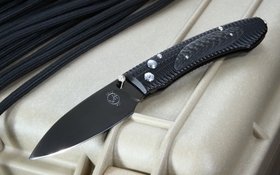 B09 Kestrel Knives are a smaller size tool just over 5 inches in total length that fits into any pocket. 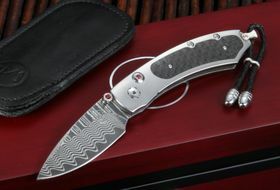 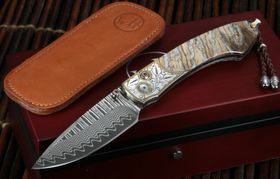 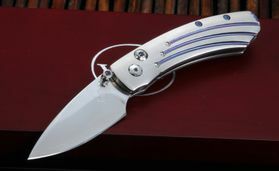 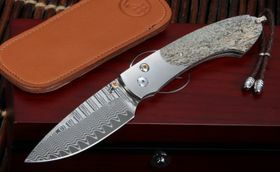 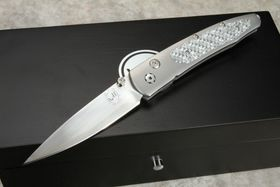 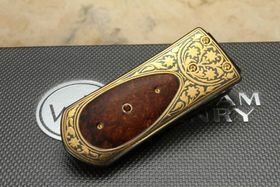 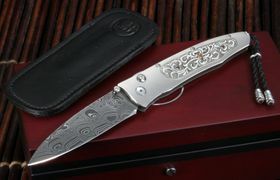 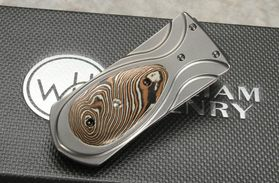 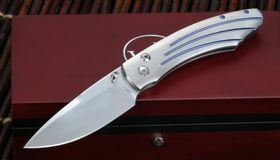 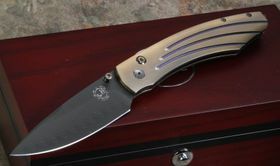 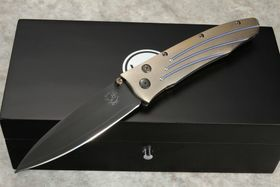 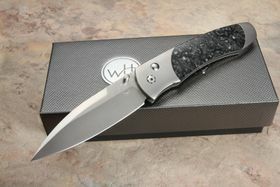 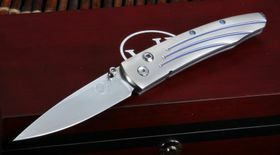 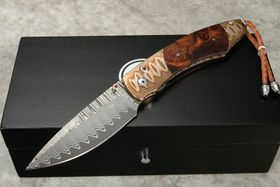 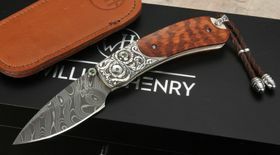 KnifeArt.com is where to shop when you're looking for a William Henry knife for sale. 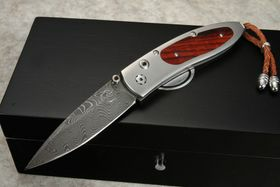 We have dozens of their artisan knives, many of which are limited-edition items. 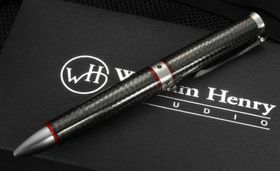 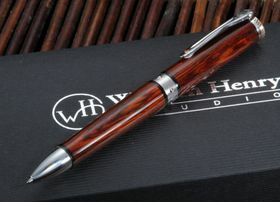 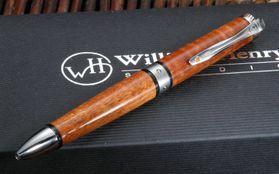 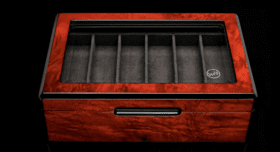 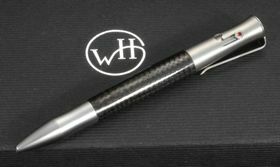 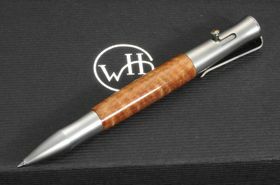 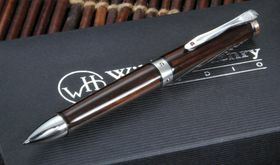 Many other William Henry products are available here as well, including high-end titanium money clips, engraved writing pens and impeccable display cases for your collection. 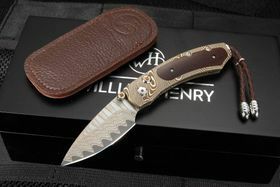 When paired with William Henry knives, they are how many people showcase their upscale or refined status. 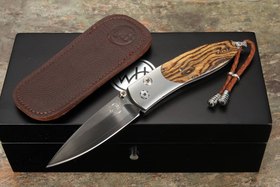 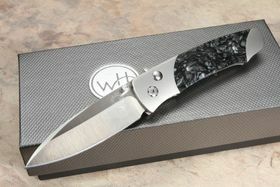 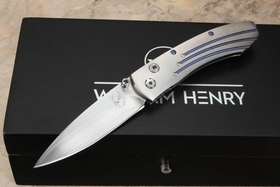 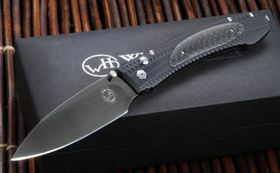 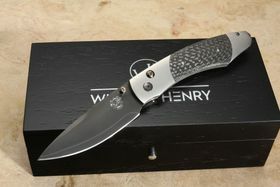 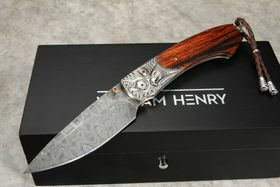 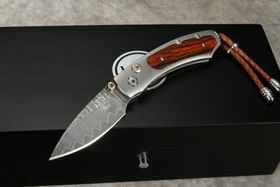 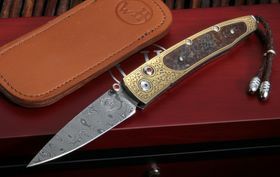 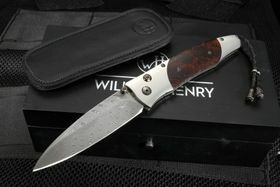 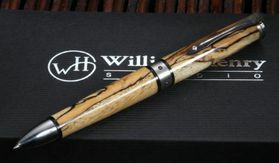 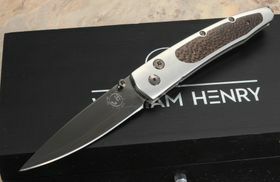 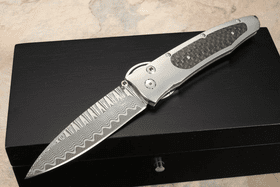 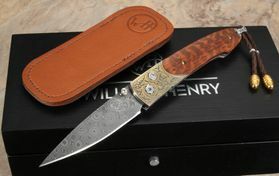 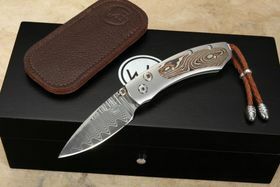 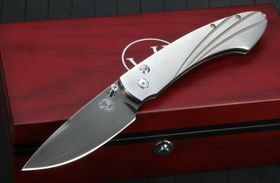 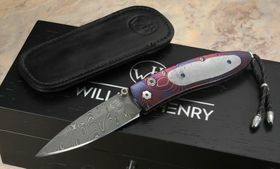 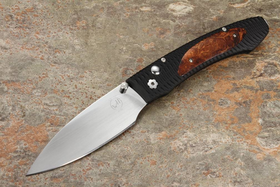 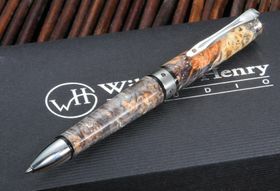 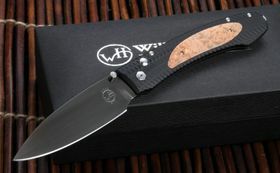 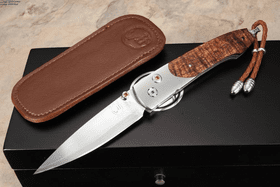 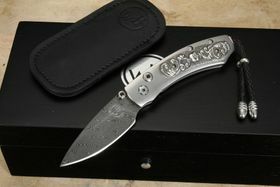 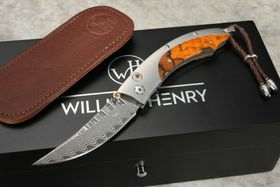 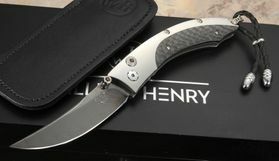 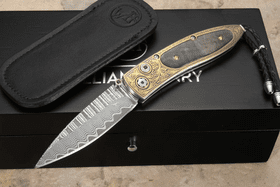 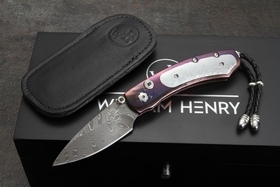 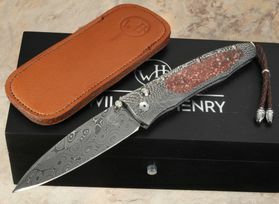 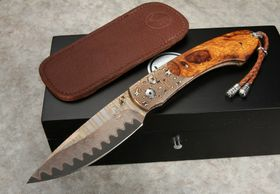 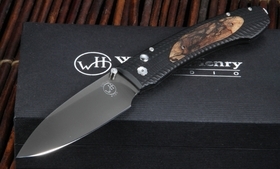 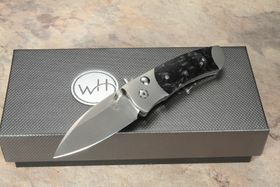 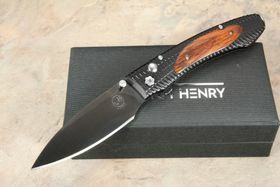 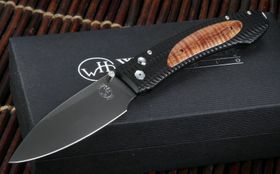 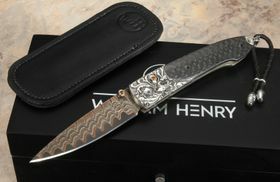 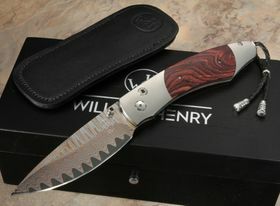 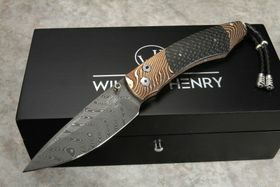 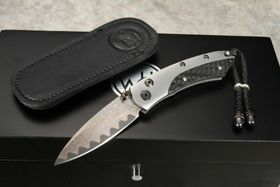 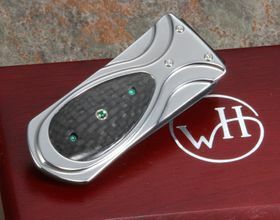 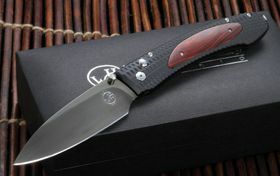 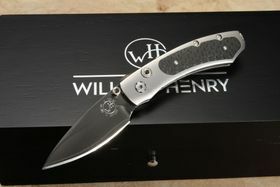 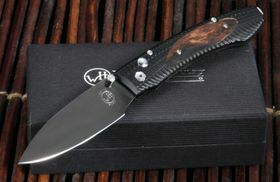 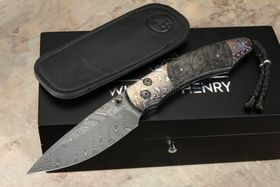 We are a William Henry dealer and have the latest and best luxury knives ready to ship today. 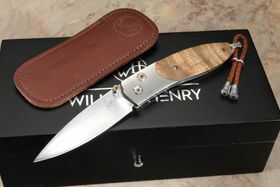 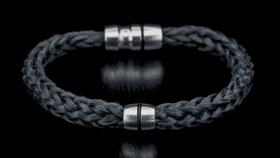 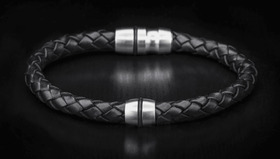 Each item comes with a satisfaction guarantee and service worthy of such swank accessories. 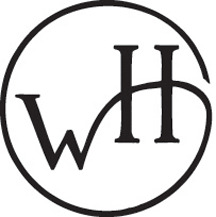 See what have in stock by selecting a category or contact our knowledgeable staff for assistance. 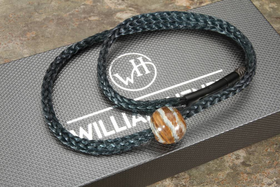 Sign up for email notifications and we'll let you know when the hottest new products arrive!